Ecuador has illegally terminated Assanges’ political asylum in violation of international law. 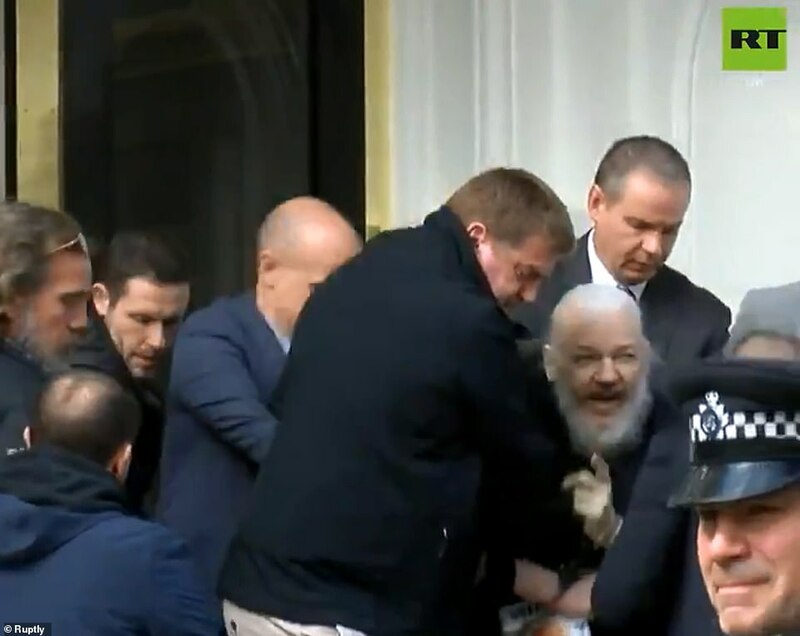 He was arrested by the British police inside the Ecuadorian embassy and dragged out. Following the Assange arrest, a spokesman for Russian President Vladimir Putin said Putin wants the authorities to respect Assange’s basic rights as they move forward with a prosecution. Assange has always feared extradition to the US, where his lawyers have claimed he could face the death penalty for the mass leaking of highly-classified documents through WikiLeaks. The conspiracy charge for allegedly helping Manning crack a password sounds suspicious, and the remainder of the accusations are simply for a journalist doing his regular job. The problem is he embarrassed the US government and exposed many of the war crimes we were committing in Iraq. He is being prosecuted for exposing criminals and their crimes. 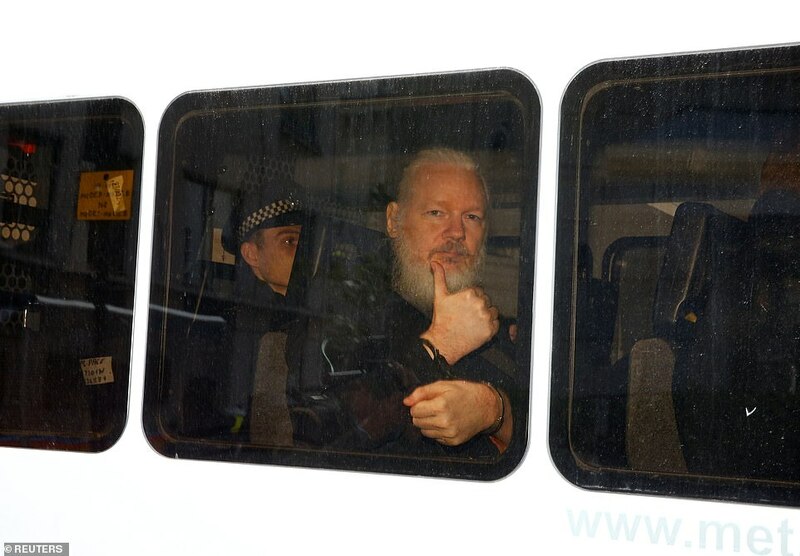 Assange has been arrested by the American government for letting the American 99% know the truth about their government that it’s own media refused to tell them. Check! We are now living in a darker, dumber alternative universe people and it’s only going to get a lot worse. Anytime the press and Demtards are cheering something you can be assured it’s not in the best interests of US patriots or the US in general. I’m not going to assume this is deep state until I see how Assange is treated. Remember, Trump has a chip in the game against the UK. The GCHQ was caught spying on Trump and the UK begged Trump not to out them publicly. I think we may have just seen this chip being played. If Assange ends up in the US testifying against the deep state about Seth Rich, you may see an outcome vastly different than what is being assumed right now. I bet Hillary is shitting bricks the size of cinder blocks right now. We encourage people to watch the video that Manning released. It show the real crimes were committed. Posted in Freedoms and tagged United Kingdom, WikiLeaks.